Near Bhuyangdev Char rasta, Sola Road. THELTEJ, Ahmedabad, India 380052. 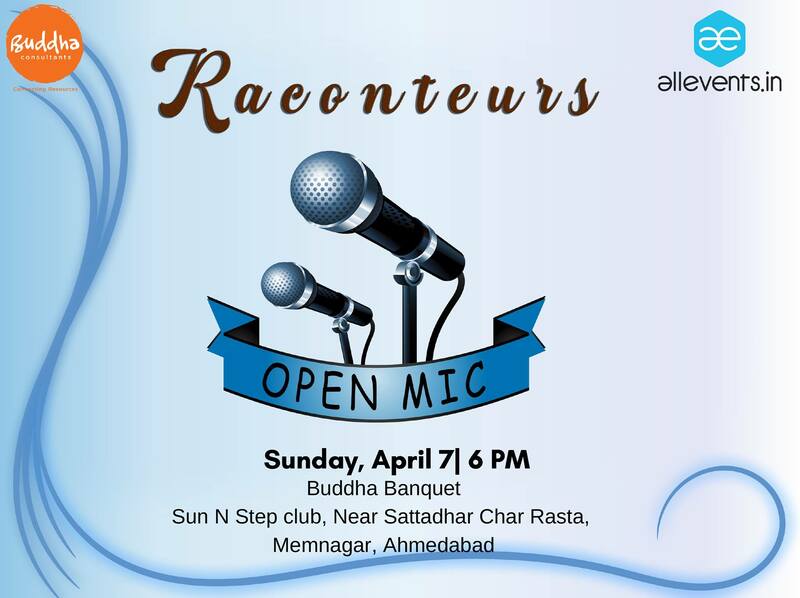 With our concept of everyone has a story, we RACONTEURS are trying to bring the fresh and raw talent of Ahmedabad under a spotlight. “Raconteurs – Everyone has a story” is an open mic where you’ll witness some beautiful poets, seasoned comics and some fresh faces telling their own stories. The most important thing for an open mic is the audience and for the audience, we have a fist full of jokes that are sure to make you laugh out loud and stories that touch your hearts. Name of the art form(eg comedy, poetry, etc. ).